The world may be looking at India. But device and infrastructure costs are taking their toll on poor patients, precipitating large-scale debts. Team Healthcare Executive looks how the healthcare system got fractured and how we can aid the healing process. Indian healthcare sector is growing; improved funding is fuelling growth and even the child mortality rate has fallen by half. But for Dr. Vishal Rao, a Bangalore based Oncologist, who developed INR50 voice box; Indian devices are a hard sell. He says, pitches often encounter the same problem: Quality. “Vast majority of costs in healthcare comes from infrastructure, medicines, devices and technology. They bear a sizeable burden of capital investment for a healthcare provider. Currently there is no subsidy on these or aids from government or other private sector manufacturers/ suppliers. Added to this, is factor of human resources. These factors can contribute significantly to rising costs. That’s why delivering quality healthcare at minimal costs would remain a challenge,” explains Rao. Rao’s frustration goes to the heart of India’s struggle to reduce the healthcare cost and make it affordable to poor. However, he points out that the government’s recent Make-in-India campaign has helped spur a boom in the device sector. “We have grown beyond the limited concept that our devices not matching international standards. The concern always has been quality, which is why many considered western devices. Today with global competition and cross continent trades, we are able to gain certain degree of uniformity and cater to quality needs appropriately. In fact, global players are arriving in India to join the bandwagon,” explains Rao. Cost of healthcare is relative in India. It varies according to the geographical location, mode of payment as well as the medical condition of the patient. Thus in Chennai, the cost of a surgery would be lot lesser than Bangalore or Mumbai. While telemedicine does try to address this issue, it’s still at a very nascent stage in many parts of the country. Further, in fear of a law suit, doctors often prescribe expensive MRI/CT scans and even more medicines. In a large, disparate country undergoing enormous change post-independence, government policies have over time impacted cost curve differentially. “The primary deficit in health policy is the priority placed on health itself. Currently, our expenditure on health is less than 1 percent of GDP. This impacts the cost curve significantly as majority of expenditure for patients is out of pocket. Rao also points out that currently majority of governments do not follow Health Impact Assessment (HIA) as health is considered low priority in the listing. “Health is profoundly, often adversely, affected by policies made in non-health sectors. These policies may arise from the decisions of various government ministries or from the workings of the international systems that govern trade, business relations and financial markets. Prevention requires population-wide interventions that are largely beyond the power of ministries of health to introduce and hence requires a “Health in all policies” approach. Public policies dealing with (for example) water and sanitation, urban development, education, agricultural and industrial production – trade, regulation and finance/revenue have important ramifications for population health and health equity. Ideally, government should use HIA to assess the health impacts of policies, plans and projects in diverse economic sectors using quantitative, qualitative and participatory techniques. For instance, transport is a major factor in traffic injuries, air and noise pollution which could be reduced “healthy transport policies” or control of fertilisers and pesticides in agriculture to reduce the chemical exposure of foods. Thus impact assessment can help decision-makers make choices about alternatives and improvements to prevent disease/injury and to actively promote health,” explains Rao. There is also a clear “elderly population” angle to this debate. Of course, studies show that share and size of elderly population is steadily increasing, even though we brand ourselves as a young nation. As per 2011 census, there are now 104 million elderly Indians, as compared to 70.6 million in 2001. Many don’t even have health insurance. Many experts say that due to all this, many patients often bypass physician visits and use their local pharmacist as their primary care physicians. However, this is a risky practice for several reasons. First, as with the training of allopathic physicians, there are no uniform standards for pharmacist training. Second, many operate without registered pharmacists. Certainly in these competitive times, companies and analysts are focused on the viability of the country’s quest for affordable healthcare, given that balance sheets of some companies catering to bottom of the pyramid are looking grim. All eyes are on central administration, whether they will unveil sector friendly reforms. There are hopes that the government will set stage for private investments to flow with poise. Yet, at a broader level, many have been asking: where was the transformative move that successive governments had promised for the rural healthcare sector? Rural India is where over half of the country’s population resides. This massive population often finds it hard to pay for their healthcare. Further, Homeopathic and Ayurveda centers are also quite common in many areas, with an estimated 70 to 80 percent population having access to their services. In one analysis by Ayurveda Research Centre of KEM Hospital in Mumbai, 96 out of 244 Ayurveda medicine samples were found to contain steroids including Betamethasone, Dexamethasone, Hydrocortisone and Prednisone. The trouble is we are hardly equipped to handle this problem.Kasaraha, a short film made by IIT Bombay student, Nitin Shekhar, evokes vividly the struggle of people in villages. Set in Chhattisgarh, Lata, the protagonist of the story, undergoes severe psychosocial stress due to the death of her mother and the consequent remarriage of her father. She is flooded by strong emotions and reacts to her new circumstances with a sense of uncertainty in her behaviour which results in her experiencing episodes of trance. When Lata undergoes her first trance, the people around her perceive the episode as a case of supernatural ‘possession’ by her mother’s spirit. “It was important that a neutral perspective towards trance and possession syndrome was adopted since neither method seemed to be completely right. In the story, the tantrik’s son acts as the moral compass, which is put in a tight spot, when he sees Lata being beaten up by his father and he has to decide whether violence is acceptable when it comes to treating someone,” explains the young film maker, who had done extensive research of mental health facilities of Chattisgarh. The idea for the film cropped from Shekhar’s own home where since childhood he had to pick sides between his father (The Rationalist) and his mother (The Believer). “It was not just my home that was divided in opinion. India has been plagued by superstitious and irrational religious practices that sometimes become a hindrance to social progress for ages. Through this project I wanted to address the themes of religion, belief, religiosity, tradition, culture and rationalism while identifying and answering some pertinent questions I have had since childhood,” says Shekhar. He also points out that idea of exploring possession and trance syndrome came from his study of rationalist organisations in India. “There are about 83 organisations all over the country that work towards eradication of superstition and to develop a scientific temper among Indians. Even though these organisations believe that possession has to do with mental illnesses or psycho-social disorders, they agree that traditional methods can have a positive effect in some cases. There is a moral ambiguity of using these measures (belief tools) to get the same result which a scientific methodology can also lead to. “It brings me back to my earlier question of the role of rationality and beliefs in mental healthcare. Does the method matter? And is there a higher truth that we don’t yet understand to pass our judgements on traditional vs. modern methods?” asks Shekhar, who has been pushing the boundaries of age, doing things that people of their age are “normally” not supposed to do. One may dismiss these outpourings as typical middle class whining? But are they justified? Take for instance corruption in healthcare. The practice of requiring a bribe for delivering healthcare services is deeply ingrained, even for services that are supposed to be covered by the government. The most recent nationwide India corruption study which surveyed 9,960 households across all states, found that approximately one in four households is asked for a bribe when they go to the hospitals. 18.9 percent of households report having to pay bribe for hospital services. 4.8 percent were asked for bribe and didn’t pay it. Dr Hairsh Pillai admits that malpractice leads to an increased healthcare cost, adding, “Hence quality accreditations and robust third party clinical audits help to cap price inflation by unwarranted investigations”. In the last three years, there has been a lot of interest in the quality of healthcare. There is also heightened expectation from the new government and easy access to information. By and large most experts feel more stringent regulations can help ensure quality. For instance, Drug Controller General of India recently said in an interview that bar coding for medicines, training for drug manufacturers and an integrated approach toward zero tolerance for substandard medicines in the country is on the anvil. Who Killed Affordability in the Indian Healthcare Sector? Most experts point out that 58.2 percent of the total healthcare expenditure in India comes out-of-pocket of the consumer. Further, they blame it on the fact that medicines account for 70-77 percent of out-of-pocket cost . Similarly, Sub-standard drugs are known to increase the cost burden besides harming the health of the population. According to Dr. Pillai, price capping on essential and critical drugs for management of chronic diseases has pushed costs down. “However we now face the issue of short supply of these essential products as there is no incentive for producers and distributors. Interestingly, while the level of foreign policy involvement and interest in global health has grown dramatically over the past 10-15 years, the relationship between global health and foreign policy is an increasingly important issue for the international community. They affirm the interconnectedness of trade, health, and development, including both trade and health policies in the formulation of all bilateral, regional, and multilateral trade agreements. Similarly, the commitment to the Doha Declaration on TRIPS and the full implementation of the TRIPS will play an important role in impacting newer drugs entering into the markets while also impacting the Indian pharmaceutical approach to generic drugs. This could in turn have a bearing on cost outcomes for end users to access newer treatments and advances. V. Renganathan, cofounder of Vaatsalya Healthcare, also nodes to that sentiment. “Supply-demand for healthcare services determines the cost. Supply here refers to hospitals/service professionals and demand to service seekers. As demand for services increases, cost increases. To understand the increase one should look at commodity pricing. When a commodity demands increases by say 5 percent, prices will go up 50 percent and if people are willing to pay such prices it will stick,” he says. Renganathan took his plunge in to affordable healthcare sector few years ago and came through with flying colours. “Services are based on competitive pricing not activity based costing. There might be thousands of orthopaedic surgeons and out of them, hundred might be really good. This leads to auctioning of the healthcare service. When you have limited number of good doctors and people are willing to pay for their service, price automatically goes up. Eventually, doctors who are not so good also start charging higher rates because of the rates of a star doctor,” he says. He adds that malpractice and unnecessary procedures can increase costs, but there is no data to support this. Geographical location is also playing out in interesting unconventional ways in the healthcare cost equation. “It is not easy to gain foothold in a new geographical local even for established brands. Even a brand like Narayana might have to do considerable marketing to establish them. Getting a workforce is equally difficult,” smiles the CXO. The fact that remuneration of the doctor depends on the social class of the patient makes hiring in semi-urban areas more difficult. “Majority of doctors wants to treat a high income patient, as their income is directly proportion to their social strata. This is the reason, why doctors migrate to a country like US, as even anaesthesiologists make USD200, 000,” explains the CXO. He also adds that the government has no direct impact on cost curve; however by not focusing on the health of its citizens government indirectly can increase demand for health services. For example, during Dengue season if the garbage is not cleared especially near vulnerable population, dengue will spread leading increased usage of services and medicines. Vaatsalya exemplifies the growing trend of entrepreneurs trying to bend the cost curve of Indian healthcare. “What rural areas need is better planning and execution. We need process innovations that use “lower compensated” service providers. By that I mean mapping services into individual steps and deciding who is best needed to provide that service. Most services can be offered using nurses like monitoring health of the patients. My theory is, cost is driven by the high-end consumers of the services and which subsequently percolates from urban to rural. Government should study how to incentivise the rich to be healthy. We have 7-star hospitals because rich needs them. Best specialists practice there. The 7-star pricing structure trickles down to 2-star hospitals and the doctors who practice there,” he says cheekily. Many experts see the crumbling of healthcare model as consequence of the public health structure of the country. The public health structure is functionally divided between urban and rural healthcare both of which are governed by the Union Ministry of Health and Family Welfare. While MoHFW is central source of public health funding, the management of healthcare delivery is still carried out at the state and the local level. Given India’s ambition to become a superpower, it is something of a shame that the country’s healthcare sector has not received the attention that it deserves. 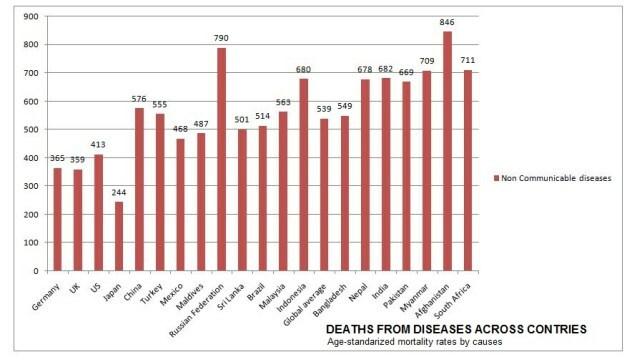 Many critics often argue that the MoHFW’s ineffectiveness is in large part due to the centralised funding of the decentralised system . To make all the government interventions for common man effective, the delivery system needs to be overhauled through wide-ranging governance reforms. Of course, experts like Maheshwari feel like Indian device companies should wake up and smell the coffee. There is an increasing recognition among policy makers that unaffordable healthcare constitutes serious human capital crisis. “The government realises the importance of healthcare and has been making several initiatives like the Jan Aushadi stores for low cost pharmacy sales, the National Health Assurance Mission entitling poor patients to free diagnostics, a push to digital health care delivery and several government funded health insurance scheme. However, it remains to be seen how this impacts the poor patient. Personally, I feel government insurance schemes are pushing more healthcare delivery onto private for profit players and it is more important for government to work on using its funds to improve delivery and services in the vast public healthcare network that already exists in India. Also the health insurances are weighted towards procedures and operations, rather than a focus on primary health care delivery where the cost is actually lower but the gains for the future, while not apparent immediately, are higher,” says Maheshwari. Despite such wide spread concern, many are confident that the Indian system, despite mounting pressure will continue to hold stable. For instance, Rajasthan, Tamil Nadu and Kerala have taken monumental steps to create accessibility to essential drugs being made available and easily accessible. Karnataka’s structured scheme for below poverty line patients and its implementation has been globally discussed. It’s impact on breaking the barrier on economic divide for the lower classes to access quality care with integrated private public approach is worth emulating by other states. Tamil Nadu is also planning to strengthen primary health care which would be a significant breakthrough to reach out healthcare services to rural areas where these services and not only essential but also reduce the healthcare burden at higher centres. For every expert who suggests that healthcare system is in bad shape, there is another who will disagree. “There are quite a number of success stories in healthcare. Polio eradication campaign itself is a big example. This campaign was hailed across the globe for its planning as well as execution. Narayana Health and Aravind Aravind Eye Care systems are the models that have brought down the cost of treatment without compromising on the quality while serving the masses. Aravind’s Vision centre (these are primary eye care centres) is already being looked upon by several state governments,” says Devendra Tayade, Manager, Physician Engagement Programme, Aravind Eye Care. He also adds that there is no denying that to address the healthcare deficit in India, public and private agencies will have to work in partnership. “The extent can differ based on form of care. If you see form of care i.e. curative or preventive, curative care requires a lot of investment right from setting up infrastructure to bringing in human resources where as these expenses are low in preventive care. Looking from different perspectives, curative care will be of much more attractive to private players than preventive care. So the public-private mix can be different for both i.e. predominantly public in preventive care and more of private in curative care where private players are provided with service standards to be followed. The service standards should also be designed so that they are inclusive and makes healthcare delivery affordable for provider as well as patient,” explains Tayade. Interestingly, when it comes to the quality of healthcare, old norms have no bearing on the quality. 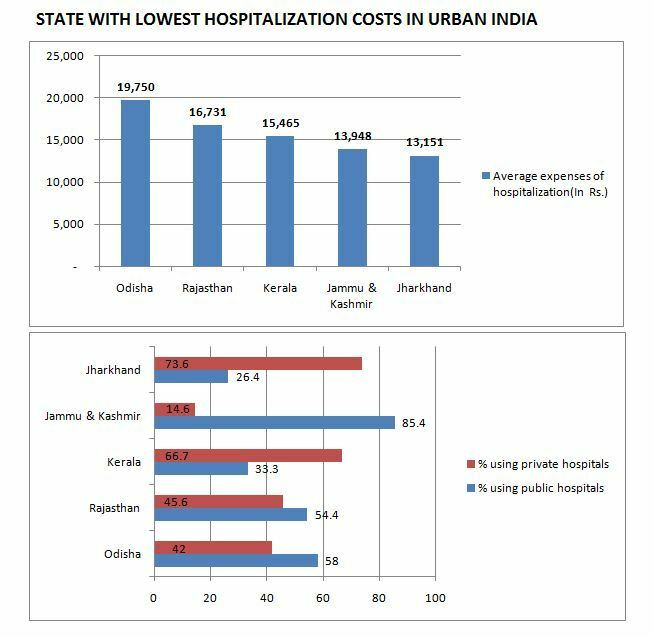 While Southern part of India is often considered as better than Northern part for healthcare facilities, recent reports suggest a different story. The most striking example comes from Karnataka. Nearly 80 percent of 635 maternal deaths reported in 2015-2016 in Karnataka were because of preventable causes such as post-partum haemorrhage, sepsis and anaemia. Although total number of deaths are lesser than the number reported in previous years, what is worrying is that 81 percent of them were anaemic, which according to doctors, could have been easily picked up early in the antenatal period and treated. Dr. Sunita Maheshwari adds that if we can improve roads to these places, make sure bandwidth works if we are using digital health, invest in training local people to take over parts of the healthcare delivery (e.g. a successful ASHA worker program has helped with primary health care delivery. As patients in rural areas purchasing power improves, innovations will also automatically reach them. “In a country such as India with a growing middle class, the private sector has 400 million paying patients and can thus thrive. For the poor patients however, an expensive private sector does not work. Empowering and strengthening the public health care delivery is an urgent and emergent need so that poor patients can have access to reasonable care. NGO’s and foundations can step in to help as well as government insurance schemes with emphasis on primary and secondary care so that one can prevent expensive tertiary care if possible. This governments plan to integrate digital health is a good one-however, they must be cautioned against only spending on setting it up and finance should be allocated for running costs. Some co-payment by patients (rather than entirely free), even poor ones, is essential (a sliding scale could be used) so that the health services are sustainable and not unnecessarily utilised,” she says. So what does the future hold for India? “I think our story of teleradiology is a model that can be used to improve tele-diagnostics for the country. Without access to a good diagnosis, many patients are never put on the right treatment path. Teleradiology, which is at the forefront of the telemedicine revolution, can help change that. Also tele-teaching or e-teaching, which we are now doing for the National board in radiology and paediatrics needs to be more widely adopted so that all medical and para-medical personnel can be trained even if there is not a local trainer available. This will help improve the level of care overall in our country,” adds Maheshwari. At first glance, Indrajeet Roy, appears to lead a fairly regular life of a designer at IIT Bombay. You can catch him reading papers and chatting leisurely with his friends at the premier institute. But hand him a report about digitalisation of health records and you come face to face with an energetic youngster, interested in healthcare issues and passionate about it. “Four hundred children die from measles every day – 16 children every hour.Immunisation is a 5 year long process with 14 sessions for children till the age of 5 -7 and a total of 26 vaccines are included in this schedule with doctors/nurses. There is a tendency for parents to forget about their child’s immunisation after a part of the immunisation is completed. It becomes important then to remind parents about the same. The aim of my project is to reduce the drop rate of immunisation in India,” explains Roy a student of IDC, IIT Bombay. Roy has developed a centralised system that hospitals and government can use to monitor parents and identify those who missed their vaccination dosage. “This enables better resource consumption on the hospital and government’s part. It would also reduce the dropout rate of immunisation through regular monitoring and reminders,” he says. “Government can easily identify programmatic areas that are performing well and areas that need strengthening. Once areas that require strengthening have been identified, the issue of improving performance can be addressed easily,” explains Roy. Roy recalls that he was not vaccinated after a certain age, as his mother forgot about it. “The system consists of an application for parents to remind about the upcoming vaccines. The application would also work as a medium for educating parents about the immunisation process. The system tries to connect a whole spectrum of stakeholders starting from parents, hospital managements, doctors, nurses and the government,” adds Roy. Can Design Thinking Reduce the Cost? Design thinking can be broadly defined as an encapsulation of thought processes and methods which enables generation of creative ideas/thoughts in order to achieve the desired meaningful output/change. One probable outcome of such methods would be cost reduction if it is appropriate and needed for that project. Sanket Pai is separated from Roy by his few years of work experience, but shares innovation streak with Roy. At an age when healthcare designers are sceptical about product design, he remains a diehard optimist. Pai’s work on laparoscopic device has created quite a buzz inside and outside the IIT Bombay campus. “A laparoscopic surgery is a minimally invasive surgery where the surgeon creates small incisions on patient’s body in order to insert instruments and a light with camera to perform surgical procedures,” explains Pai.Even though this surgery results in quicker recovery time and lesser pain for the patients, it is highly demanding for the surgeons. Since the operations last for hours, there is a need to design and develop devices which minimise the surgeons discomfort while enhancing the usability. Pai’s project is an attempt to design such a device for the procedure of cutting and coagulating tissues during laparoscopic surgery. The socioeconomic needs of the current society also support the push for frugal . I feel that a lot of negative connotation is still attached to cost effective, frugal products and that has to change,” explains Pai. At a time when others are chasing success, building a big corpus or paying EMIs for a fancy apartment, Pai has decided to opt out of the rat race. He points out that his team has tried to simplify the mechanism and assembly of the device in order to reduce cost, and are currently aiming at a price bracket that is ideally one-third or at least half the existing device cost. “My senior at IDC had done a project last year in collaboration with Biomedical Engineering and Technology incubation Centre (BET-iC) on redesign for laparoscopic devices where the idea of using finger retainers for all laparoscopic devices was introduced. However, my project was to take the basic idea and apply it to devices used specifically for electro surgery. This changed the requirement and the constraints and what started as a refinement of previous project, ended up becoming a project with new device form and features. Since the domain was very specific, we ended up doing primary and secondary research again. The project was aimed at reducing the discomfort that the surgeon faces. Since this is a very specialised device, the cost wasn’t a primary driver in the project. However, since the device is surgeon friendly, the training and use of this device is easier,” concludes Pai, who will graduate from IDC in August this year. Strategic health adviser to Maharashtra Chief Minister, Dr. Anand Bang argues that one of the main culprits for the current crisis is the Medical Council of India, with focus more on archaic norms than quality of education. “Similarly, the rules limiting teacher:student ratio is impractical. The oversight of MCI has also become severely restrictive instead of playing a facilitative and promotive role. Hopefully, the two committees, appointed by the Supreme Court and the Prime Minister would lead to the long required radical surgery of MCI. At the same time, there has to be significant strengthening of the Paramedical Workers (nurses especially) and the Community Health Workers. Though the Union Health Minister has taken welcome steps in this direction, through empowerment of the ASHA worker to treat neonatal infections and ARI, or through promoting the nurse practitioner and BSc Community Health Model, there is still significant resistance from the medical personnel dominated technical and policy maker bodies. This resistance is evidence less to the least (there have been a large number of field trials documenting the effectiveness of CHW in dealing a range of morbidities in the community), and smacks of a mindset to allow decentralisation of medical knowledge, competencies and right to serve. The defensive arguments provided of ‘first dictum of medicine being do no harm’ etc are completely baseless. What the Union Health Ministry is failing is to create a solid system for training, skill assessment, regular refresher training and certification of the almost 800, 00 ASHA workers. Though certain steps have been undertaken in this direction, they are plagued by lack of appropriate leadership, vision, and stakeholder engagement,” he says. Having been with the Union Ministry of Health and family welfare from December 2012 to 2014 as senior consultant in the National Health System Resource Centre, he points out that the right direction undertaken by the Union and several State Health ministries to empower ASHAs will have significant impact. “Similarly, empowerment of BAMS doctors with bridge course, to serve especially primary care conditions will be effective. Further, the enactment of the Clinical Establishment Act will be very helpful in controlling the cost. The Government of India has passed the model Act, the ball is now in the court of States to adapt the same and enact. The push on setting up Medical Devices Manufacturing Parks have significant potential (again, Maharashtra has undertaken effort to set up one at Nagpur).The price control orders by NPPA and the appropriate use of Compulsory Licensing are two other important developments in healthcare,” adds Bang. He also adds that despite a strong inventory of inventions, the final commercialisation and reach to scale lacks significantly. One reason of this may be the inventions not following the full path to the same, going through rigorous clinical, and then field trials. There also seems lack of field sites, partners and mentors for the same. The inventor herself may be too much in love of the invention, lacking the insight into design issues. There is a disconnection between various institutions of innovations , including IITs and field sites. “As the legendary Prof Carl Taylor used to say, it may be happening that the one find the key first, then searching for the lock, instead of understanding the structure of the lock first and then designing the key,” explains Bang. Dr Bang is known for his work in improving maternal health of rural women during his association with Gadchiroli based Society for Education, Action and Research in Community Health (SEARCH) founded by his parents. As a consultant who has worked with state and central governments, he points out that there is probably no one state with model story. Possibly, it is also not appropriate to expect the same in a country as diverse as India, and one size fits all solutions face the grave danger of mindless replication. For all the occasional scepticism and valid doubts about specifics-there are lot of reasons for Indian consumer to smile. “Various good practices implemented by different states have great potential for replication. The State Medical Supply Corporation set up by Tamil Nadu (the Maharashtra Government is also in the process of setting up a similar corporation) or the vaccine logistics system from Haryana, the Mobile Medical Units implemented in Maharashtra are good models. Remarkably, the several models developed and tested by various non-governmental organisations are a success story for India. Whether the concept of empowered Community Health Worker, Home based newborn care by SEARCH, PLA model by Ekjut, all have significantly shaped national and state policies and being replicated. The concern as always is the right match of quality when replicated on large scale, and maintaining the spirit of the program,” concludes Bang.